Chocolate Cocktails: Chocolate Kiss Shooter! This year’s big holidays are over, but we are coming around the corner to Valentine’s Day! Whether you celebrate it with friends, family, or one person you love, it is such a fun day to express how much you love somebody! Valentine’s Day always brings back memories of being in elementary school, and gathering Valentine’s cards from classmates. SO much fun! It’s such a refreshing break from the cold, gray days of winter. Splashes of red, pink and, of course, CHOCOLATE! Oh, and if you’re looking for great chocolate, look no further than my post, The Best Chocolate! Where in the World to Get it! And speaking of chocolate…..I’ve got some Godiva Chocolate Liqueur left over from when I wrote a post on Birthday Cake Shooter! I also have some Disaronno (Amaretto). I started looking for chocolate cocktails that had both of these liqueurs in them, and actually had a hard time finding what I wanted. 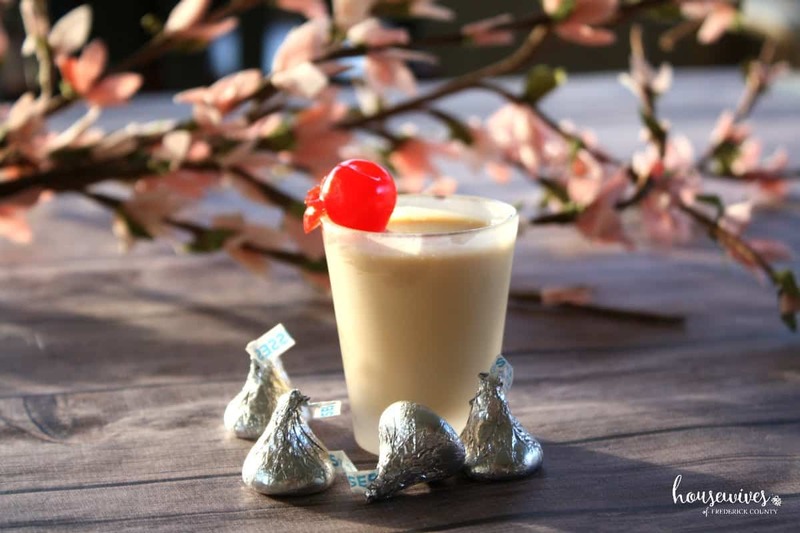 There is a drink called Almond Joy (Chocolate Liqueur, Amaretto, Coconut Rum, Cream) that sounds SO good, but I felt like that was too well-known. SO, I created my own little chocolate cocktail concoction! I wasn’t able to find this combination anywhere, but if you happen to know this drink and it has a name to it please let me know! 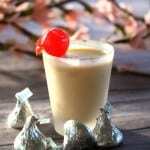 I shall call it, in honor of Valentine’s Day, the Chocolate Kiss Shooter! Pour all ingredients (except the cherries) into a cocktail shaker. Shake until mixed well. Pour into a shot glass, and garnish with a cherry! 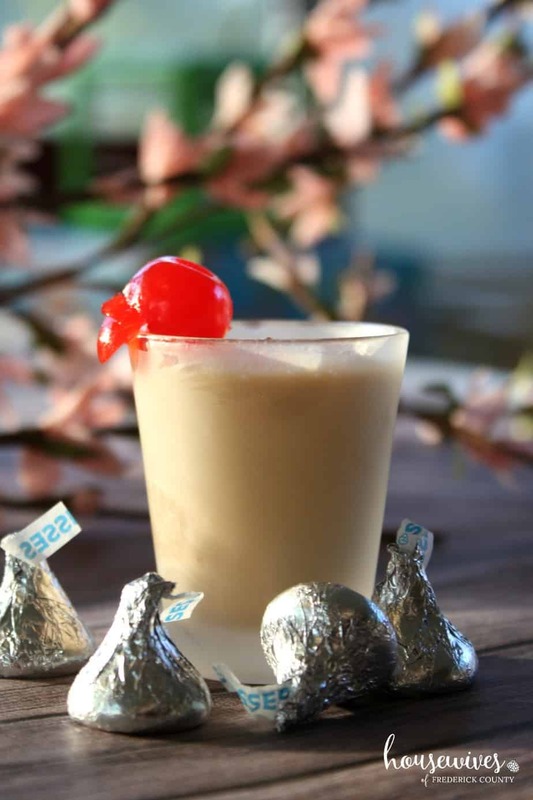 If you love chocolate cocktails, this chocolate kiss shooter is so good! Not too sweet, and not too strong! AND, you could use the cherry as the chaser! Perfect! I think this recipe could also be served as a cocktail (vs. a shot/shooter), and would be great blended with ice. I may just have to try that too! Happy Valentine’s Day! 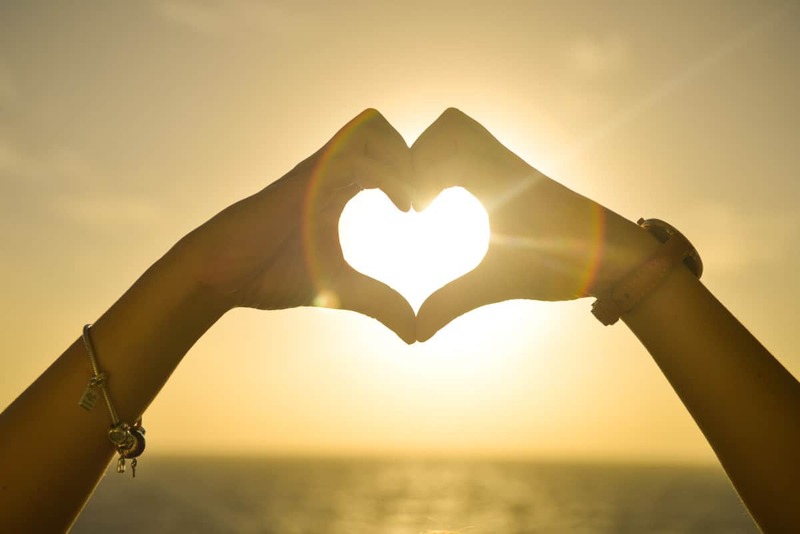 I hope this year brings you all of the love that you need!